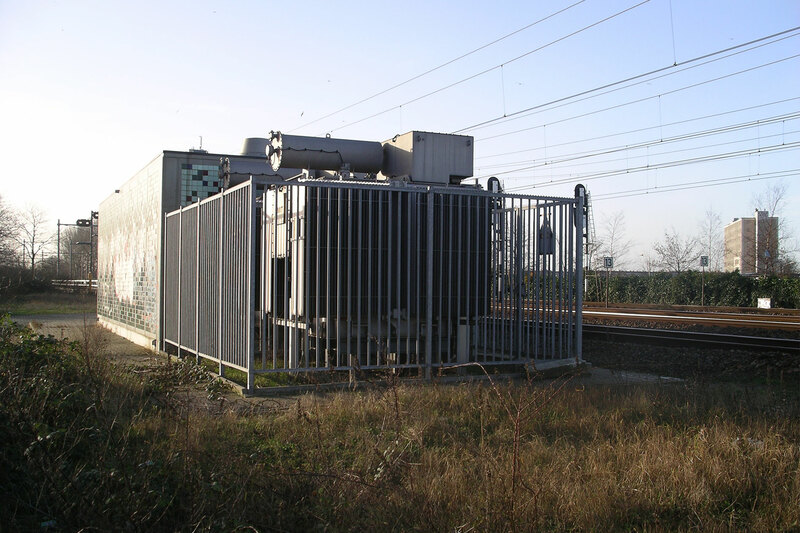 In various locations throughout the rail system in The Netherlands are a number of 11 kV/1376V transformers manufactured by Smit which, because of unusual loading conditions, require the rating to be improved. 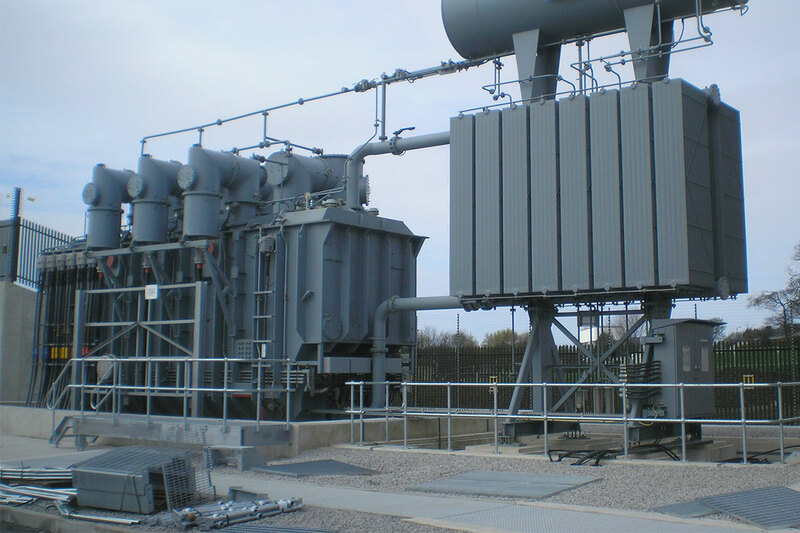 The transformers have a continuous maximum rating (CMR) of 4 MVA and are ONAN cooled by plate-type radiators. 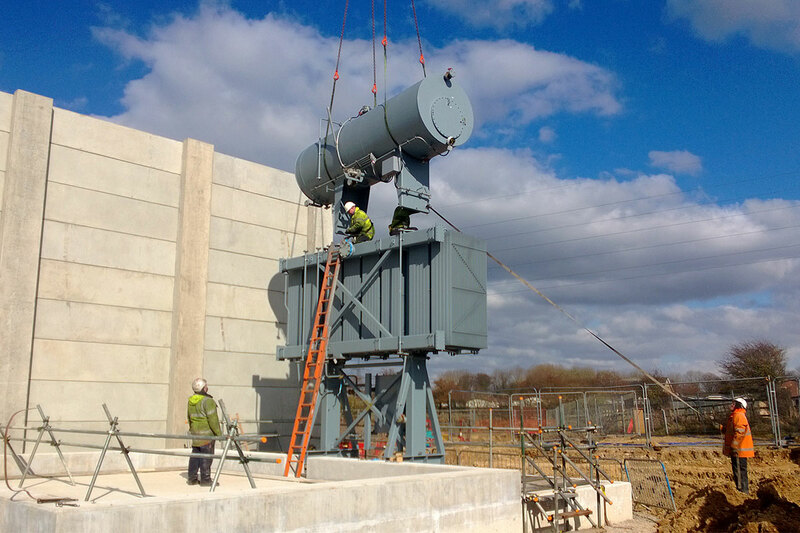 Test certificates for transformer give the losses and heat run data is available, and the design and thermal calculations are carried out utilising this data. Following a continuous load of 4 MVA the load can be increased to 6 MVA for a period of 2 hours. Following a continuous load of 4 MVA the load can be increased to 12 MVA for a period of 60 seconds. After both these load cycles the transformer should not have suffered any significant acceleration in its insulation loss of life. It is assumed that no more than five 150% loadings evenly spaced and no more than ten 300% loadings evenly spaced, occur in any 24 hour period. To improve the rating it is proposed that short cased axial fans are fitted under the radiators The fans would be arranged for manual and automatic operation, the auto mode from contacts in an oil temperature monitoring device fitted in the transformer tank. Each fan would have the necessary protection against overloads. All the equipment would be contained in a weatherproof enclosure fitted on, or close to the transformer. Temperature settings for the fan operation would be advised. Although the HV and LV winding rise after the 6 MVA load exceeds the guaranteed C.M.R. limits, transformers do not normally operate continuously at their full rated powering maximum daily ambients. Any load cycle in which the transformer operates at less than 4 MVA before the overload is applied can have a significant lowering effect on the calculated temperatures at 6 MVA and 12 MVA. Normal insulation deterioration rates are assigned to a hottest spot temperature of 98oC in CP 1010, although E.S.I. 35.2 provides for continuous maximum rating hottest spot limitation of 115oC, the latter being with forced cooling.